The Rialto Center for the Arts opens its 2018/19 season in early October and ends it in April 2019. Among its 15 acts: Ballet Hispánico, jazz trumpter Etienne Charles, Afropop’s Youssou N’Dour, sitar artist Anoushka Shankar and banjo master Béla Fleck. 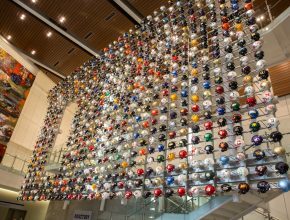 The new College Football Hall of Fame and Fan Experience is far more than statues and plaques. Every college team in the nation is represented, along with bands, mascots, cheerleaders and lots of interactive things to do.